Resume-Action-Words, when added and blended into your cover letter and resume, are the catalyst that springboards your folder from the bottom to the top of the stack. Employers don't read resumes, they scan them (in 15 to 45 seconds or less). Some Folks would say, "Talk is cheap...it's ACTION that speaks Louder than Words!" Lets build some resume action words context. But first...a story...Master marketer, Dan Kennedy, writes about his observations with regard to human behavior. On the other hand, "many seek me out for advice, paying me rather handsome fees for my services, yet never make any progress toward our mutually agreed upon goals?" After some thought, Dan discovers the hidden answer while watching a B-rated movie during a late night of insomnia TV watching. Dan hypothesizes that the main difference between the Do-ers and Non-Do-ers are that the Do-ers are Action Jacksons. Resume action words are also known as a keywords. They should be a blend of the specific details as listed within the job posting or ad as well as your word-picture text displaying you as an action-oriented worker. One second if you will...The power of quotes has stimulated business leaders, presidents, and heroines to greatness. Inventor, Thomas Edison, once remarked that "Genius is one percent inspiration and ninety-nine percent perspiration." Many Discount writing services will provide you with a list of resume action words or keywords for blending into the template sections. If I were in need of a resume, giving me a list of keywords would be as much help to me as canoeing upstream without a paddle. recommendation to the following three professional resume products and services. 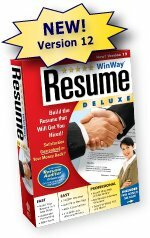 Amazing Resume Creator, Winway Deluxe, and Pongo Resume are among the professional resume industry's best. I will rattle off a list of (alphabetical) resume action words for your benefit...then we'll use within a sentence context. While assigned as Head Bartender, I accomplished the assigned inventory duties as well as the daily management of wait staff. Managerial duties included budgeting a $100,000 quarterly payroll with any significant decline in customer service. Significant progress with data capture of quantifiable fraud, waste, and abuse. Was decisive with regard to student test compliance while assigned as Lead Intern to the Dean of Students. Accepted assigned tasks as Catering Waitress while elevating my skills as Assistant Catering Manager through the self-study of Microsoft Excel 2007. Executive leadership of senior management included the ability to properly evaluate the Sarbanes-Oxley Compliance the Board's Compensation and Benefits Committee. Formulated internal audit control mechanisms to budgetary goals. Generated enrollment increase of 25% within a 6 month period as the Age 4 Preschool Teacher by emphasizing the Hooked-On-Phonics teaching method. Executed the delegated task of legal research team recruitment and hiring for the Patent Law Firm of Bonnie & Clyde, LLC. Implemented a Case review task force for critical patient care management. Was able to justify a reduction-in-force of 20% of staff while reducing call center customer waiting time by 30%. Provided a keen sense of ethical decisioning in spite of frequent stock downturn, sales quota under-projection, and proxy take-over attempts. Expertly lead a 4-person staff while serving as Corporate CFO and COO. Provided specific and measureable tasks to the kitchen staff as Bar and Restaurant Manager resulting in a (food) shrinkage of less than 5%. Nudged the productivity of the Company Maintenance section to a Gold Standard Excellence through the voluntary use of a peer evaluation program. Was able to operate a 5-staff College Computer Learning Lab, with 2 facilitators during the year 2006 Teacher Union strike. With an eye on productivity and profitability, positioned the Customer Call Center into an auxillary sales and marketing generator without a decrease in customer service metrices. During my work as Senior Graphic Designer, ad campaign qualified for the Annual 2007 New York City Addy competition. Successful efforts to recruit public safety officers for the California Highway Patrol (C.H.I.P.S. )led to the awarding of the Commander's Gold Shield. Her support of 2005 Hurrican Katrina Natural Disaster helped 25 families relocate to permanent housing. Teamed with several area charities to exceed the Year 2007 United Way campaign to raise funds for Mothers Against Drunk Driving (MADD) by 25% versus the previous year. As Assistant Human Resource (HR) manager, undertook the massive task of rewriting the company HR employee handbook (500 pages) within a 30 day period. Volunteered to lead the European sales division after returning from a previous 3 year international assignment. Worked 25 (exempt) additional hours during a 14 day period to ready the office for the internal auditor which resulted in a zero deficiency rating. Possesses an uncanny ability to x-ray problems and issues before they arise to the surface. Frequently asked to yield top department sales members as mentors to under performing teams in order to boast overall company sales quotas. Zealously sought out opportunities to accept additional responsibilities during last quarters race to increase sales revenue to double-digits. End of Resume Action words narrative examples. I hope that the above resume action words sentence contexts were useful for you. What good is a hammer, saw, or any tool unless someone shows you how to use it? I intend to be someone that provides the how-to tools for blending resume action words into your writing.